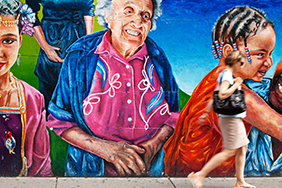 Take control of your Canon T4i / 650D and the images you create! 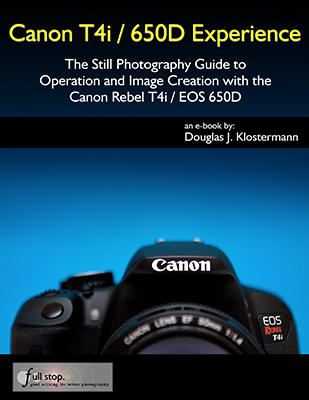 Canon T4i / 650D Experience - The Still Photography Guide to Operation and Image Creation is an e book user's guide for the Rebel T4i / EOS 650D that will help you learn the features, settings, and controls of this advanced, versatile camera. It goes beyond the manual to explain not only how but also when and why to use the features, settings, and controls in your photography. Written in the clear, concise, and comprehensive manner of all Full Stop guides, Canon T4i / 650D Experience will help you learn to use your Rebel T4i / EOS 650D quickly and competently, to consistently create the types of images you want to capture. This instant download Canon T4i / 650D book is for those who wish to get more out of their camera and to go beyond Full Auto and Program modes and shoot in Aperture Priority (Av), Shutter Priority (Tv), and Manual (M) modes. 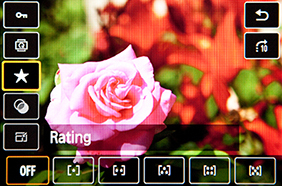 To get you set up, it begins with explanations and recommended settings for all Menu settings, Movie Mode Menu settings, and Custom Function settings of the T4i / 650D. It covers basic dSLR camera functions and exposure concepts for those new to digital SLR photography, and explains more advanced camera controls and operation, such as using the various metering modes and exposure compensation for correct exposure of every image, controlling autofocus modes and focus points for sharp focus of still or moving subjects, and utilizing dramatic depth of field for professional looking photographs. Click to Preview Canon T4i / 650D Experience - note to Mozilla Firefox browser users: the new built-in PDF viewer in Firefox does not work properly and causes the PDF preview to appear in a low resolution. Please download and/ or view the PDF with Adobe Acrobat / Reader to see the proper resolution. 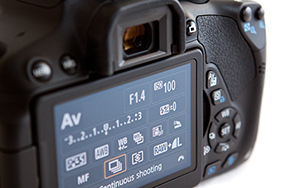 Setting Up Your Camera - All of the Menu settings and Custom Function settings for the T4i / 650D, including movie mode menus, with brief descriptions and recommended settings for practical, everyday use. Set up and customize the advanced features of this dSLR to work best for the way you photograph. Camera Controls - Description of all of the camera's controls, plus when and why to use them, including how to take advantage of the new Touch Screen and Quick Control settings screens. Exposure Metering Modes of the Canon T4i / 650D - How they differ, how and when to use them for correct exposures in every situation. Also how to make use of exposure lock. The Image Taking Process - A descriptive tutorial for using the settings and controls you just learned to take still and action photos. 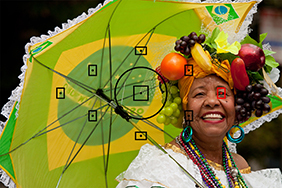 This digital guide to the Canon T4i / 650D a 165 page, illustrated e-book that goes beyond the manual to explain how, when, and why to use the features, settings, and controls of the T4i / 650D to help you get out there shooting in the real world. EPUB format for reading on a Kindle, Nook, Sony Reader, other e-reader device, or on the iPad using iBooks. Or on an Android tablet (Galaxy, Xoom, Playbook, etc.) using an ePub reader app such as the free OverDrive Media Console. Or viewing on your computer with free Adobe Digital Editions software. (EPUB not able to be printed on your printer.) If you are unable to transfer or read the EPUB on your Kindle, please contact me for a MOBI format version of the book. 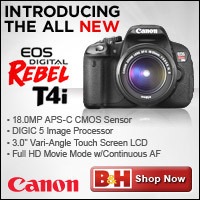 with this Canon Rebel T4i / EOS 650D e-book user's guide.